The Canon PowerShot G-series cameras are a perfect blend of features for enthusiasts. Some of the notable features are complete manual control over exposure parameters, RAW format support and rock solid build. 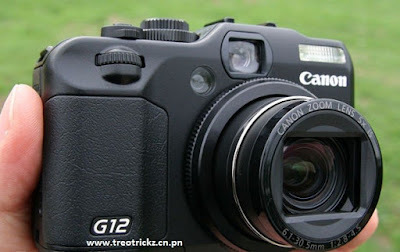 The PowerShot G12 isn’t significantly different from the G11, but offers a few additional useful features. It boasts a 10 megapixel sensor and the 5x zoom lens has a focal length of 28 mm at the widest end, which is common in digital cameras these days. What sets the G-series apart is the instant access to EV, ISO settings and shooting modes in the form of dials on the top panel. There’s also a provision of hot shot for adding an external fl ash. The swivel screen, which can be pulled out and rotated 180 degrees outward and 90 degrees inward, allows capturing photos in crowded areas with the camera held over the head or from ground level. An additional dial in front is a new feature. It comes in handy for adjusting shutter speed. 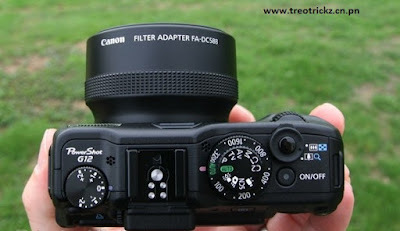 The aperture can be adjusted using the dial on the control panel next to the 2.8-inch LCD. 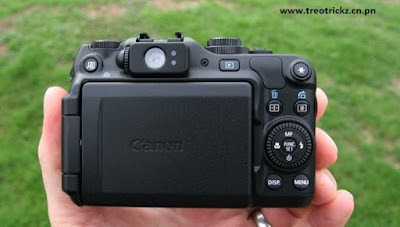 The G12 also features 720p video recording and a few additional scene modes. It doesn’t support optical zoom while recording videos, but there’s digital zoom. Performance is outstanding; 1/3 step increment for ISO, 1 cm range for macro shots and swivel display help to take great shots. Even at ISO 800, the noise level is acceptable. We took plenty of outdoor and indoor shots using various ISO settings, scene modes, with and without fl ash, and macro mode. The reproduction of colors and details was excellent, but high-contrast photos shot in daylight suffered slightly from fringing. The fi nal results looked great after processing the RAW files in Lightroom.